Who is Maria Butina, the pro-gun activist accused of being a Russian agent? Maria Butina, the Washington-based pro-gun activist charged with being a Russian agent, has been on Michael Isikoff's radar for quite some time. Butina, 29, was indicted Tuesday on charges she was working at the direction of a high-level official from the Russian Central Bank. That official is not named, but is widely suspected to be the bank's deputy head, Alexander Torshin. 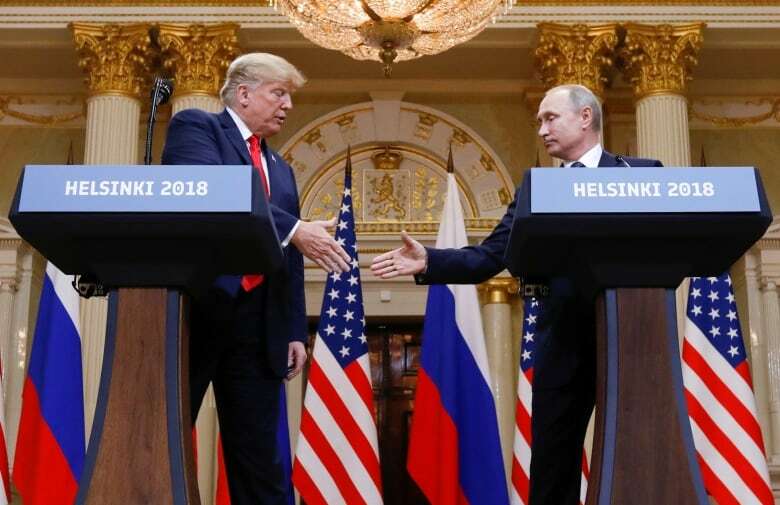 The news comes on the same day U.S. President Donald Trump backtracked his support for Russian President Vladimir Putin, saying he now accepts the U.S. intelligence community's conclusion that Russia meddled in the 2016 presidential election. Isikoff, chief investigative correspondent for Yahoo News, and his colleague David Corn have documented some of Butina's and Torshin's activities in their book Russian Roulette: The Inside Story of Putin's War on America and the Election of Donald Trump. Isikoff spoke to As It Happens guest host Laura Lynch about Butina's arrest and how it plays into the ongoing Trump-Russia saga. Here is part of that conversation. A Russian national, Maria Butina, was arrested and charged with being an unregistered Russian agent. What was your reaction when you saw that? A lot of us have been tracking the activities of Maria Butina and her boss Alexander Torshin, the Russian central banker, for some time. They had been making concerted efforts to infiltrate and influence American conservative political organizations, the National Rifle Association, the Conservative Political Action Conference and others — forging alliances, forging relationships with members of Congress and people who were close to the Trump campaign. This is something that seemed very unusual to a lot of people. It looked very much like part of the Russian influence operation, and the charges brought by the Justice Department this week reinforce that. What has she actually been accused of? She is been accused of acting to further the interests of the Russian federation without registering as a foreign agent with the Justice Department, as she is required to do under federal law. And if you read the criminal complaint that was filed against her [when] she was arrested by the FBI on Sunday, it makes it clear that her goal was to infiltrate American political organizations and influence American policy, particularly influence the attitudes of the Republican Party towards Russia. She and her boss Alexander Torshin were doing so by forging these relations with leaders of, in particular, the National Rifle Association. 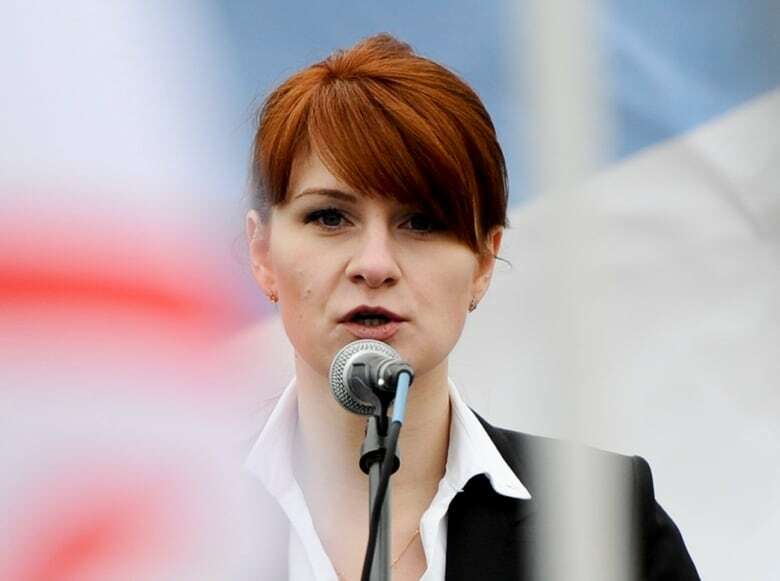 There's e-mails reproduced, messages produced, in which Butina sees this as the key to changing the relationship, the attitudes in the Republican Party, because of the important role that the NRA plays in financing the election campaigns of all members of Congress. All of her actions seem to be transparent. She has her appearances at these NRA events. She was well-known there. There's lots of photos of her posing with Republicans. People knew she was well-connected in Russia. So what's new in the indictment? Did these charges really come as a surprise? Yeah, because we didn't know they were coming and we didn't know that it tripped the FBI's radar. I think there are suspicions that there is more to this story, that money may have been involved. We don't know yet, but this does seem to have been a concerted effort to establish back-channel relationships. There has been a lot of ... questions that Russia must have what they call kompromat, or incriminating information, on President Trump to explain why he has been so chummy with Putin. Has that kompromat question taken on new meaning in the last few days? The kompromat allegations have been out there since really the 2016 campaign. Of course, that was the most notorious feature of the famous dossier prepared former British spy Christopher Steel that there was some sort of compromising tape that the Russians had. No proof or evidence of that has as yet been found. I think at the end of the day, we have to say we simply don't know. That would seem to be a rational explanation for Donald Trump's conduct. And, you know, some of us who have followed Trump for a long time might push back and say you can't find rational explanations for Donald Trump's conduct. Some of what he does and says, you know, is so bizarre and so off the wall and so inexplicable that it defies rational explanation. Written by Sheena Goodyear with files from Reuters. Produced by Jeanne Armstrong. Trump, standing with Putin, sided with him over U.S. intel. Is this the dawn of 'America's surrender'?